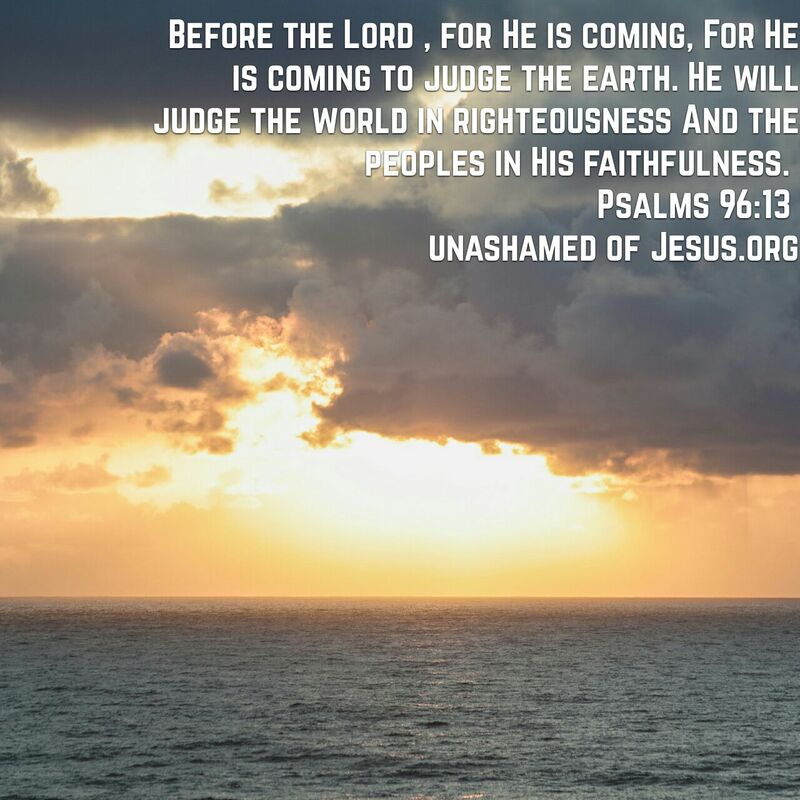 Before the Lord , for He is coming, For He is coming to judge the earth. He will judge the world in righteousness And the peoples in His faithfulness. This entry was posted in Jesus on June 12, 2017 by Unashamed of Jesus. Thanks brother! Have a blessed day!